Gardening is a big part of Oahu’s outdoor lifestyle, where residents enjoy a year-round growing season with dependable moisture brought by trade winds. An astonishing variety of fruits and vegetables can be grown here–due in part to the exotic food plants brought to the island by many cultures. Gardening on Oahu is not without its challenges; however, with proper plant selection, you can grow healthy, delicious food in your own backyard. With the notable exception of wet taro, the early Polynesians grew most all their food in small, individual gardens near their homesteads. Polynesian staples like breadfruit, sweet potatoes and yams are still grown near homes on Oahu today. After Western contact, foreigners brought many types of fruit and vegetables from all over the globe and planted them in the island’s rich volcanic soil. Don Francisco de Paula Marin, a Spaniard who lived in Honolulu in the early 1800s, was responsible for numerous fruit and vegetable introductions, including mangos and avocados. During the plantation era, immigrant workers brought favorite plants from their homes and cultivated them near their plantation village homes. These plants–found today in backyards and farmers markets–are a testament to Oahu’s cultural diversity. 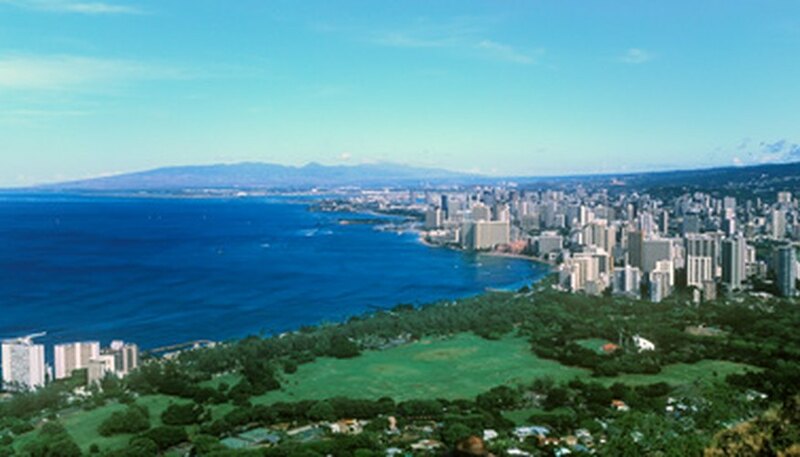 The Hawaiian Islands are located more than 2,000 miles from the nearest land mass. Most of the food that island residents eat is brought from far away by barges and airplanes–making it considerably more expensive than on the U.S. mainland. Fruit and vegetable gardening can significantly reduce grocery bills and provide your family with fresh, perfectly ripe produce. The satisfaction of growing your own food, the moderate exercise involved and the opportunity to socialize and share with friends and neighbors are added benefits. In recent decades, high land prices have significantly reduced the size of the average backyard on Oahu. Many older estates and open spaces with large fruit trees have been razed and subdivided. Residents have responded to increasingly limited space by planting dwarf fruit varieties, some of which can take up much less area but produce large quantities of fruit. Raised vegetable beds, long common in backyards, have recently slipped into many Oahu front yards and can even be seen lining driveways and sidewalks. Some residents grow vegetables in large pots on sunny patios and lanais. Avocados grow dependably well throughout Oahu. Good summer bearing choices include ‘Healani’ and ‘Hulumanu.’ Other excellent varieties, such as ‘Haas,’ ‘Hayes’ and ‘Sharwil’ mature from late fall through spring. Citrus trees thrive everywhere on Oahu; and smaller varieties can work well even in tight spaces. ‘Meyer’ lemon, ‘Tahitian’ lime and the ‘Baia’ orange are popular cultivars on the island. Papayas thrive nearly everywhere on the island where there is moderate protection from wind. Dwarf varieties, such as ‘Sunrise,’ can be successfully grown in small spaces. Japanese eggplant grow very well, especially in the sunny lowlands. Hot peppers thrive in warm dry areas and can persist for many years. Tomatoes are often attacked by a tiny introduced fruit fly, which ruins the flowers and maturing fruit. Roma and cherry varieties have some resistance to the fly as does the ’Kewalo’ variety. Soft-skinned squash are also damaged by the fruit fly, but thicker-skinned winter squash may survive. Root vegetables, like white potatoes and carrots, can be difficult to grow in wetter, upland parts of the island where they are often attacked by soil fungi. Sweet potatoes and yams do well in wet or dry parts of the island.